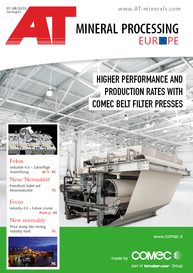 To obtain greater transparency in mineral processing and more accurate information on size distribution in the feed and discharge of crushing processes, reliable monitors are needed. 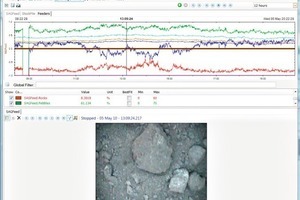 With VisioRock™, the visual process monitoring system from Metso, it is possible to monitor and analyse visible rock particles in the production process (Fig. 1). 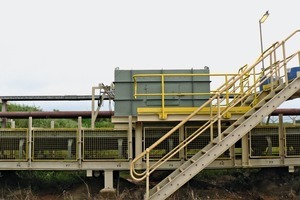 At the focus of interest is the feed material for different crushing stages or mills. 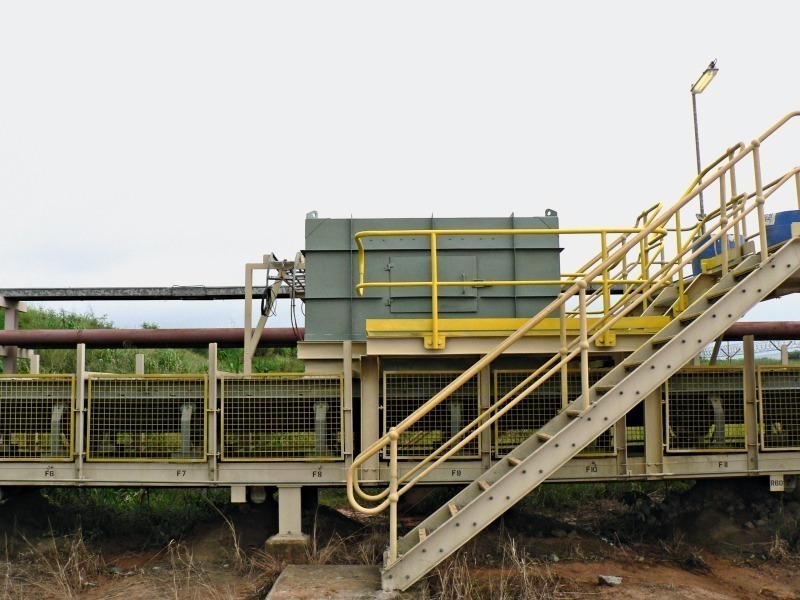 The system combines dependable particle size measurement with the possibility to directly adjust the crusher gap setting if any deviation from specifications is detected. Especially in mills, adjustment of the suitable feed rate is directly connected with the particle size. 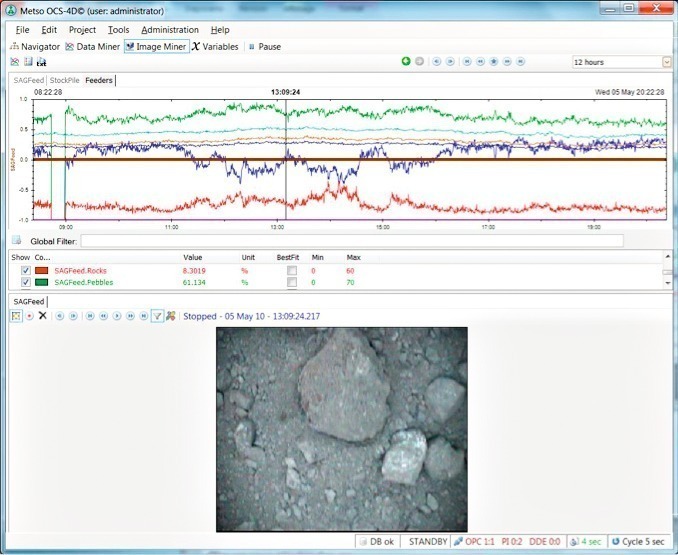 Size, colour, texture and particle shape of the rock can be analysed. The VisioRock™ process monitoring system includes a video (IP-) network camera in a stainless steel casing (protection rating IP67) together with LED lighting and set-up equipment. The hardware is installed above the conveyor. The camera itself is fitted with a dust protection system that can be optionally connected to an air compressor. When fitting the camera, it is necessary to make sure that the lens is shielded against scattered light – especially as a large number of conveyors are installed outdoors. The VisioRock™ software can be administrated from a normal PC interface, can be integrated in an OPC server and TCP/IP in LAN and WAN structures and is usually operated from the control room. 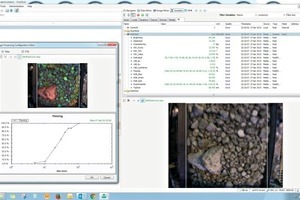 The advantage of the software is the precise analysis of the video stream delivered by the camera, from which up to ten images per second can extracted and analysed (Fig. 2). In the image processing, first optical transmission weaknesses are compensated for by means of filters, and contrast corrections are automatically performed, before the software starts with the analytical segmentation. Belt sections on which no material is conveyed are identified by the software as “empty” and are not included in the analysis process (Fig. 3). From outside of the conveyor belt edges, no image information is channelled into the computations. Fine particles that are too small and below the resolution of the screen are assigned to the fines. 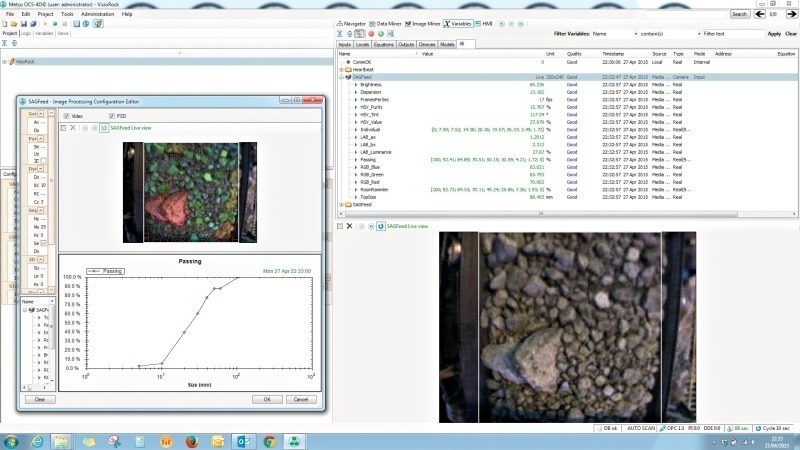 The software performs the particle size distribution in 2D in accordance with individual specifications. 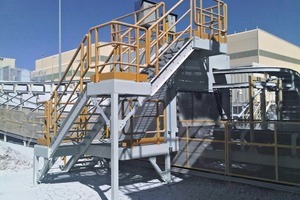 The system operator can continue to concentrate on the control while the actual particle distribution is filtered based on the program’s intelligent algorithm and automatically displayed. “Non-critical particle sizes” are displayed in green or blue depending on the specific particle size distribution, while “critical” particle sizes (above a defined tolerance) are shown in red. Using the Plugin OCS-4D® Image Miner, the operator can extract images with time stamp at any time by entering specific search criteria. The option is available to install six or more cameras (Fig. 4) and image the particle distribution synchronously on one terminal. The camera is adjusted by remote control from the computer in the control room. Film sequences can be repeated spontaneously and logs with historical data retrieved at any time. The system is equipped with the standard DDE or OPC interfaces and can be easily integrated in almost all networks. 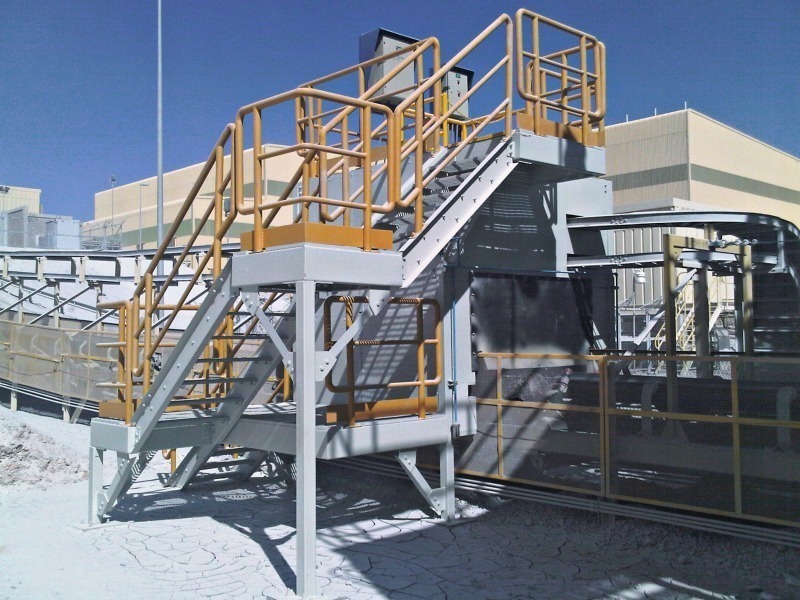 Overall, Metso’s VisioRock™ system is a reliable instrument to increase circuit stability in mineral processing and improve feed management.